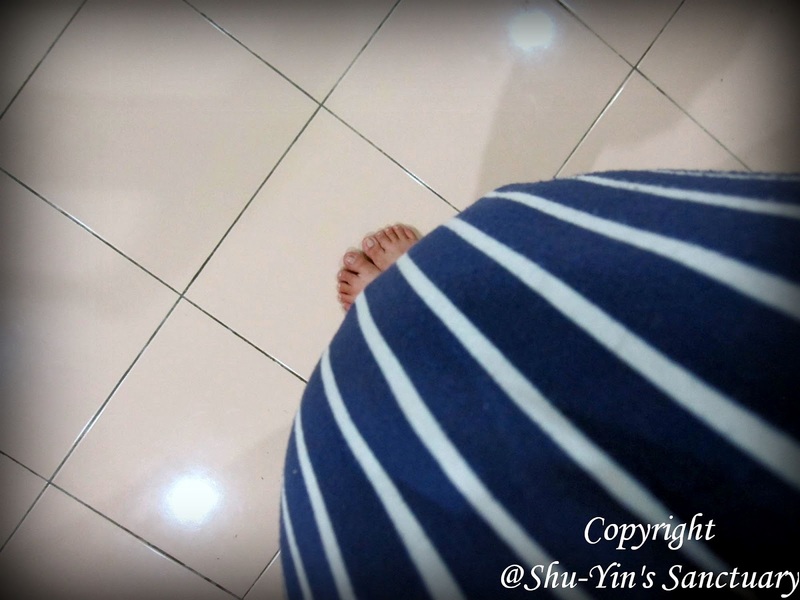 Shu-Yin's Sanctuary: Me @ 33 Weeks, or is it 36 Weeks? 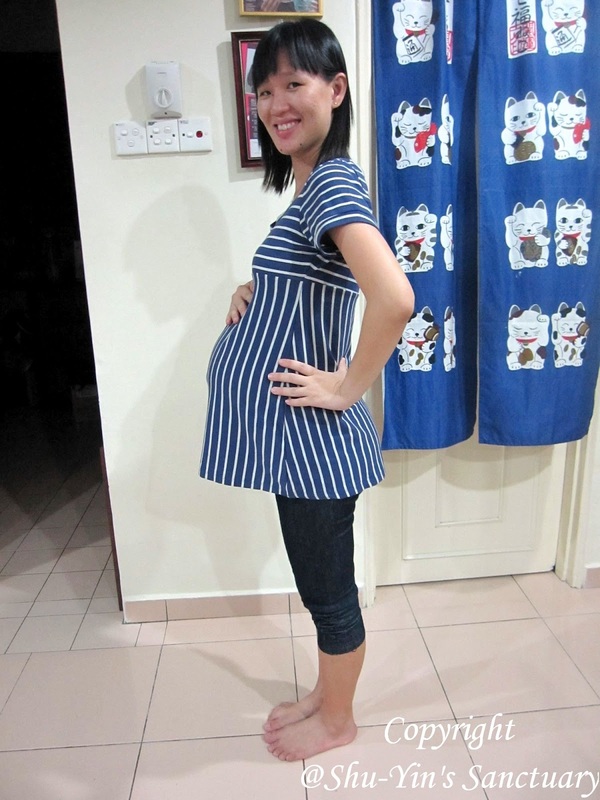 This is my belly at 33 weeks, which is about 8 mths preggy. But according to the size of the fetus (based on yesterday's ultrasound), Lil Bub is about 36 weeks, which means my belly is about the size of a 9 months old pregnant woman. Ahh...don't worry. I myself is confused too on how big I really am! Anyway, all I know is that I know I am big. I feel I am big. 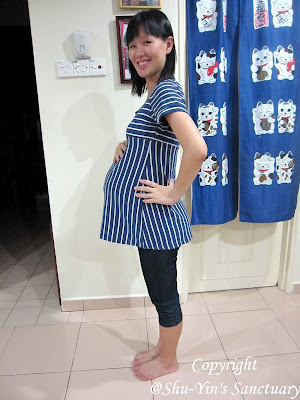 My big belly is giving me backache now. But I can still do everything. I walk fine. I can still squat, I can still bathe Shern. I can still wiggle my body, though now I can't touch my toes. And speaking of toes, this week, my feet starts to swell, though not a lot yet. 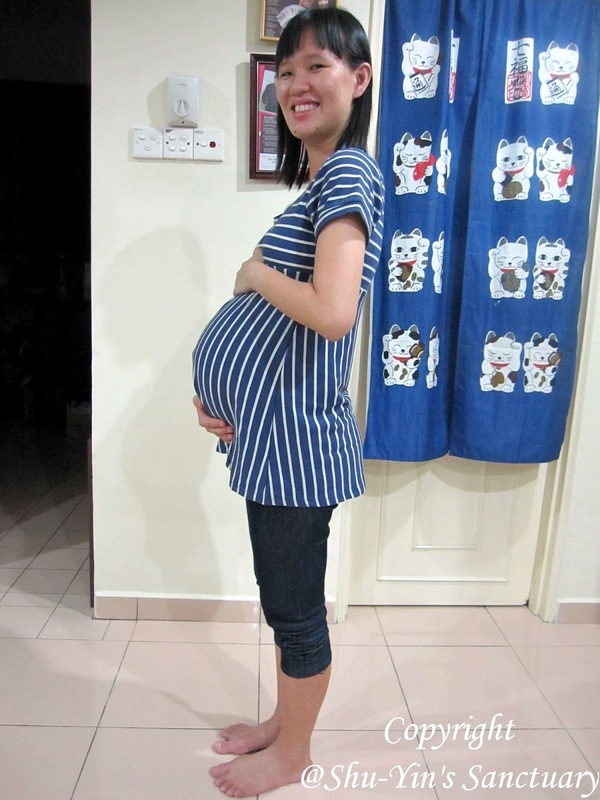 I remembered at only 31 weeks, the swelling of my feet and fingers during my first pregnancy with Shern was way more than now. Lil Bub is very, very active. He wiggles in my tummy all the time. He seems to be dancing inside, or wait a minute, maybe he is doing Taekwando or something.